Chances are, you, along with the other 98% of Australians were unaware that these changes were even going to happen despite how much difference the credit card reforms can make. Changes to credit cards will make it easier to move your everyday transaction account from one financial institution to another – including all of those regular direct debits and credits. These changes provide a host of other benefits should you be carrying Credit Card debt. These reforms have the potential to save over $2.4 billion in credit card charges. Some of the reforms apply to all existing credit cards, while others apply to new credit card contracts approved after July 1 2012 only. A standardised layout of key information will be provided on all Credit Card key fact sheets. 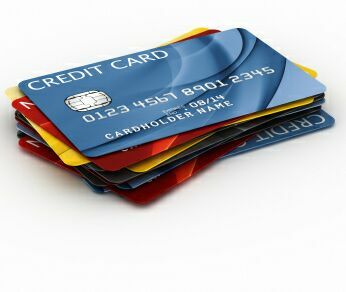 When applying for a Credit Card you will have more control of the amount of credit you receive. You will be asked to nominate your preferred credit limit. Over-limit fees will be banned unless you specifically agree that your lender can charge you a fee for the service. If you don’t want to pay for over-limit fees, you could switch to a card provider that does not charge them. When you have exceeded your credit limit you will be notified so you can decide whether you wish to keep using your card or whether to make a payment to reduce your balance. Your credit card provider will be required to make direct repayments to the most expensive part of your balance first - making it easier to reduce your debt faster. For example, cash advances are charged a higher interest rate than regular credit card purchases. So, say you have $1,000 as a cash advance and have made $1,000 in purchases, under this new reform, if you make the minimum monthly repayments, this money will go towards paying off the cash advance first, as it is incurring a higher interest rate. This will save you on interest and the time it takes to pay off the loan. It's reported these reforms only apply to new cards and not to the cards you currently have. In saying this, before assuming one rule fits all, it's worth directly asking your Credit Card provider if these rules apply to your contract. Unless you specifically agree to receive offers from your Credit Card provider to increase your Credit Card limit, these will be banned! To help you make more informed decisions about how much you pay off your Credit Card each month, your monthly statements will include personalised information such as how long it would take you to pay off your entire balance if you were to only make the minimum repayments. Credit Card providers will need to clearly show how their interest free periods work, making it easier for you to take advantage of these offers and benefit from the reduced amount of interest you are charged. So, where do you go from here? Why not check the terms and conditions of your existing Credit Card and compare it with other cards to make sure you are getting a fair deal. This doesn’t mean you need to run from your existing provider, but a conversation certainly seems worthwhile if you’re carrying Credit Card debt. Try our Credit Card Calculator.